I absolutely love sweet potatoes. Although I avoided them as a child, as an adult, I’m making up for lost time. 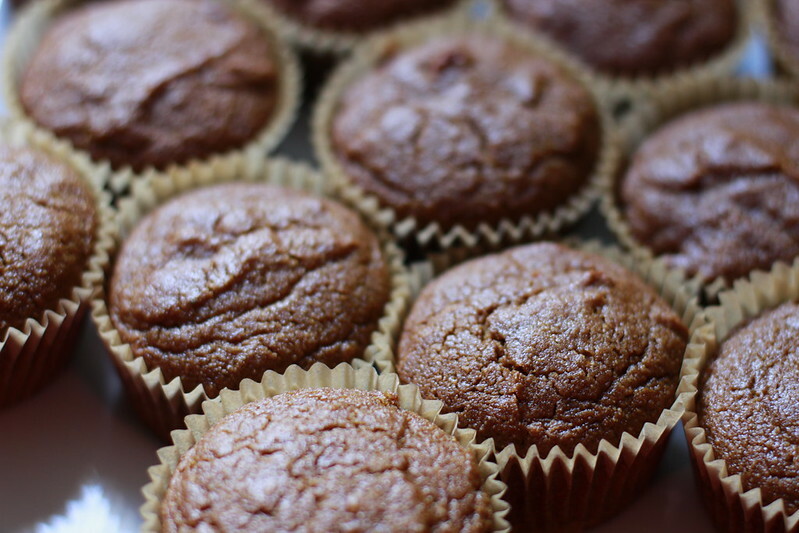 On this cold January day, I had a craving for sweet potato muffins. 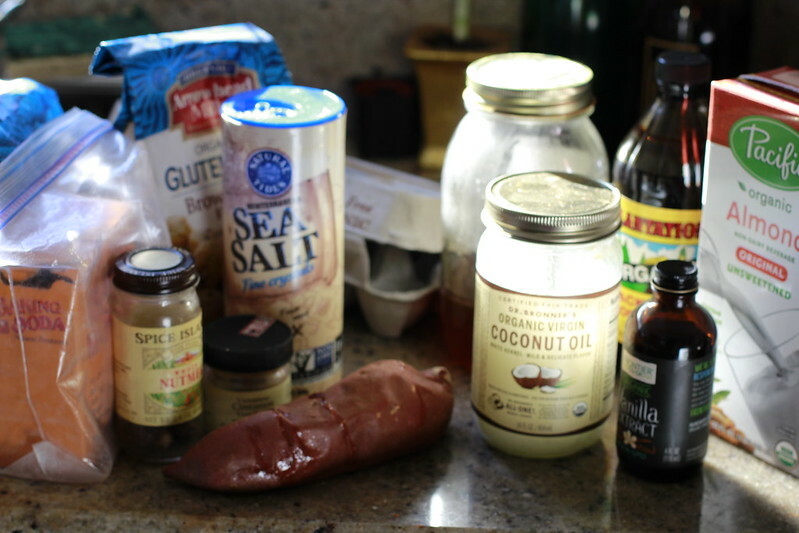 Lacking a recipe, I emailed my friend Sara for a healthy and delicious sweet potato muffin recipe. Within minutes she sent me a link to her blog. I immediately put two sweet potatoes in the oven to bake while I gathered the ingredients and set up the mixer. The sweet potatoes took about 20 minutes to bake. If you have a large sweet potato it will take 30-45 minutes to soften. *I bought unsulphered molasses at MOM’s Organic Market. Preheat oven to 350 degrees and combine dry ingredients. 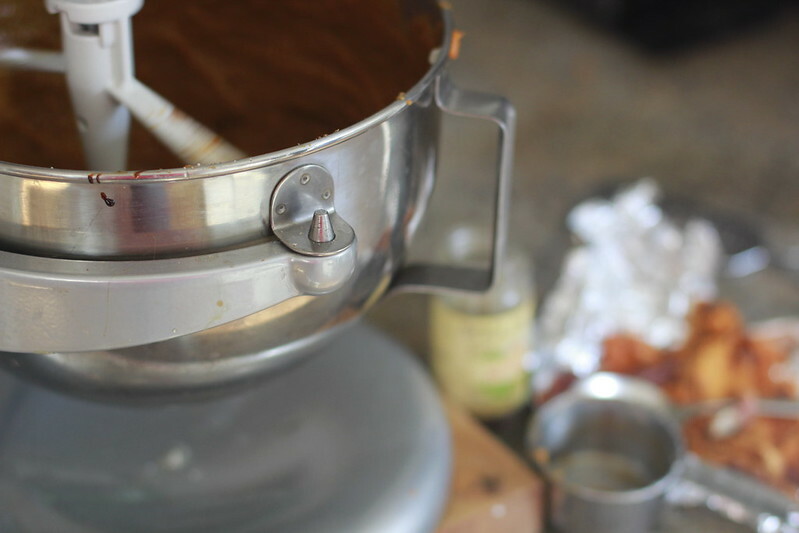 Mix wet ingredients in mixer, then add the dry ingredients. 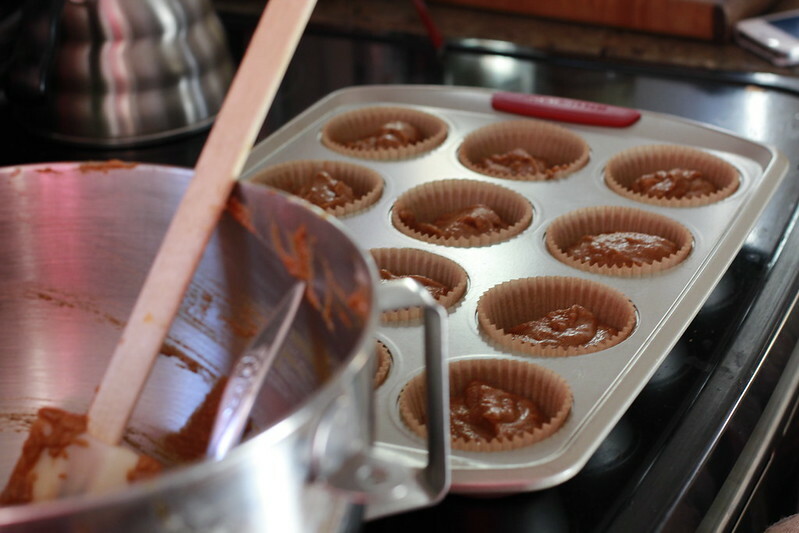 Fill muffin pans and bake for 30-40 minutes. 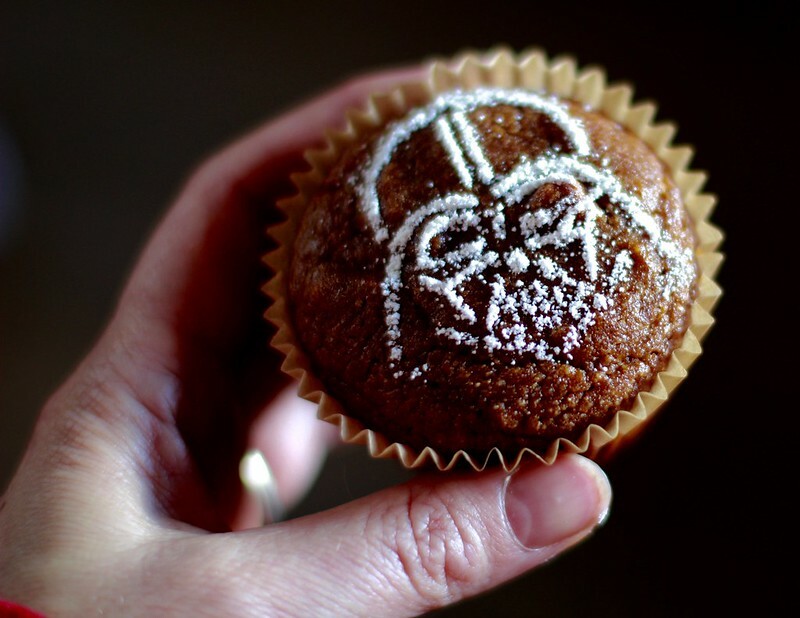 I added a Darth Vader stencil with powdered sugar to one muffin to encourage my son to try one. This will not be the last time I make these, the entire family enjoyed this healthy snack. Yum. I just made these. Thanks! These have been a huge hit while we’re trapped in the snow! I used white flour and 1/3c white sugar, 1/3c brown sugar since I had those on hand. The kids LOVE them! 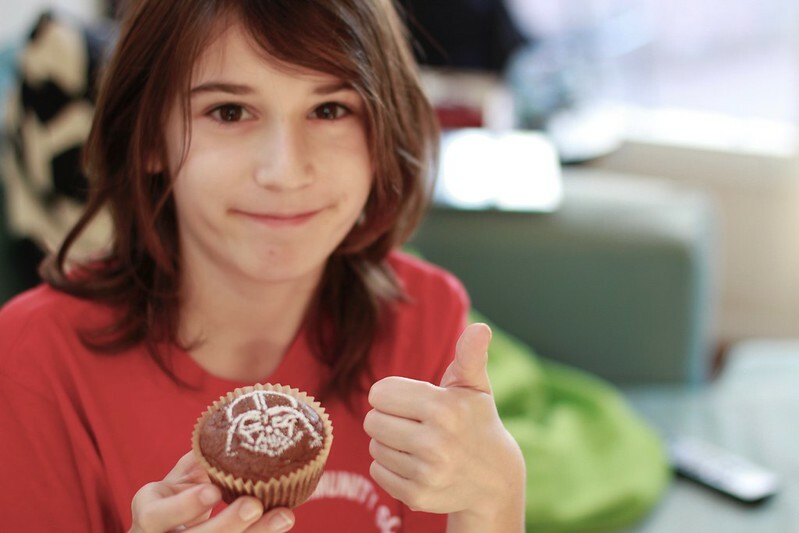 Glad you enjoyed the muffins. I ran out of muffin liners the other day and made it as a loaf. Really moist and delicious! So good! Thanks for posting! !